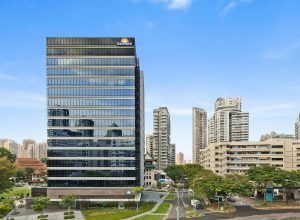 While Singapore honors its storied past, it’s a city that is firmly moving forward, with a vibrant array of things to see and do just moments from our own Days Hotel Singapore at Zongshan Park. Take a walk on the Balestier Heritage Trail, where Singapore’s past and present meet, featuring everything from classic Singapore dishes to impressive architecture. From Little India to Orchard Road, you can find everything from authentic arts and crafts to high-end retailers. Embark on a culinary adventure in Singapore, and savor a stop at some of the area’s most unique eateries, or explore the nightclubs, restaurants and shops of the Clarke Quay waterfront. Balestier Road is where Singapore’s past and present converge. Singaporeans come here for local comfort food like kaya toast with Nanyang coffee or BakKutTeh or Chicken Rice. It’s also where visitors can explore the Heritage Trail and learn about Singapore’s history as a British trading post. Explore Balestier’s shophouses and colonial architecture. Grab a copy of the Balestier Insider and rent a Kick Scooter from our concierge before heading out to explore the area! Kick scooter are limited so reserve now. Visit one of Singapore’s most vibrant historic neighborhoods. Little India is home to authentic gift shops with colorful textiles and handicrafts. Local shops provide customers with a mix of fine spices. Restaurants serve up some unique delicacies, like Fish Head Curry. Explore all Little India has to offer. Immerse yourself in Singapore’s most well-known shopping district. Orchard Road is home to a variety of departmental stores and has the highest concentration of shopping malls in Singapore, alongside an array of restaurants, bars and clubs. Our hotel offers a free shuttle service to T Galleria by DFS on Scotts Road, within this shoppers’ haven. Explore this beautiful wildlife park with animals roaming freely in naturalistic exhibits – from the savannahs of Africa to the Australian Outback from the savannahs of Africa to the Australian Outback and fresh water ecosystems on the River Safari. Explore the zoo’s massive rainforest, see the white tigers or African lions, and experience a memorable evening adventure on the Night Safari. Looking for a great dance party in Singapore? Clarke Quay is a dynamic waterfront district right on the Singapore River. It’s home to nightclubs, restaurants and shops. For those with kids, there are fun things to do during the day like bumboat tours and the Central Square water fountain. Take a picturesque cable car ride from Singapore to Sentosa Island where there are so many things to see and do. From Universal Studios to the Imbiah Lookout Butterfly Park, the Island offers enchantments of all kinds. Play on the beach. Find treasures in the local retail shops. Swim with dolphins. It’s all here on Sentosa Island.